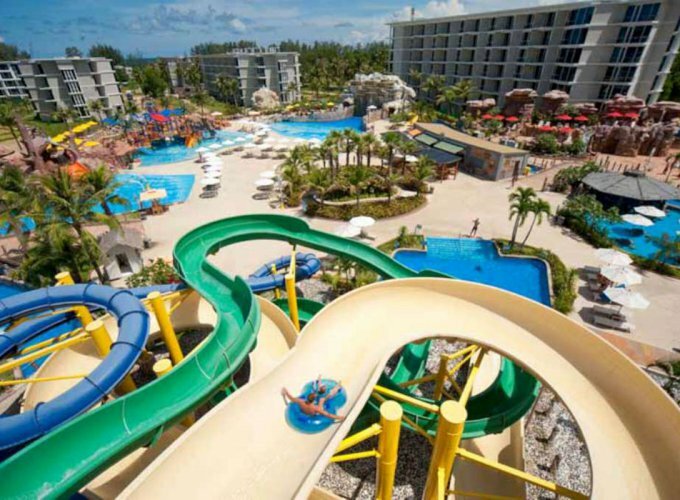 All of our buildings have been artfully designed, topped with an iconic roofing structure creating uniqueness, along with spaces to enjoy watching the continual ambience of happiness and good times. 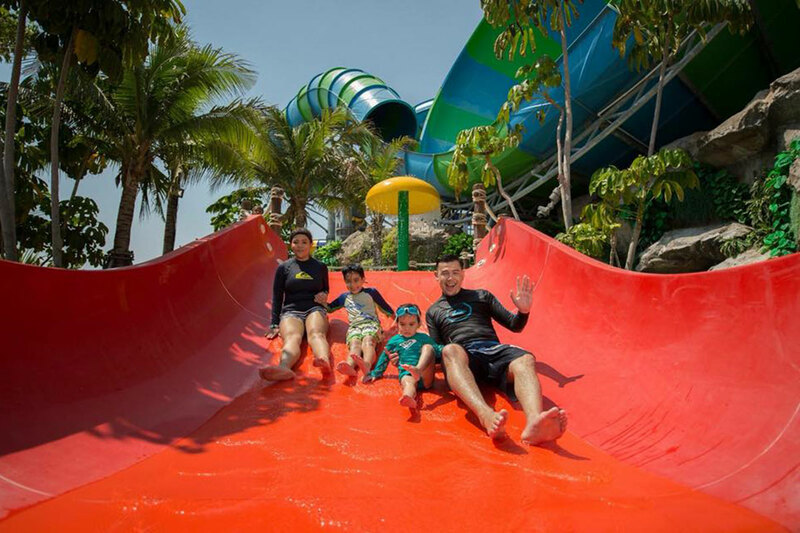 Together with other interactive facilities such as LED lighting in all the pools, game arcade, retail shops and a massage pavilion, Vana Nava Water Jungle promises to deliver Splashtastic Fun to thrill and chill seekers of all ages. 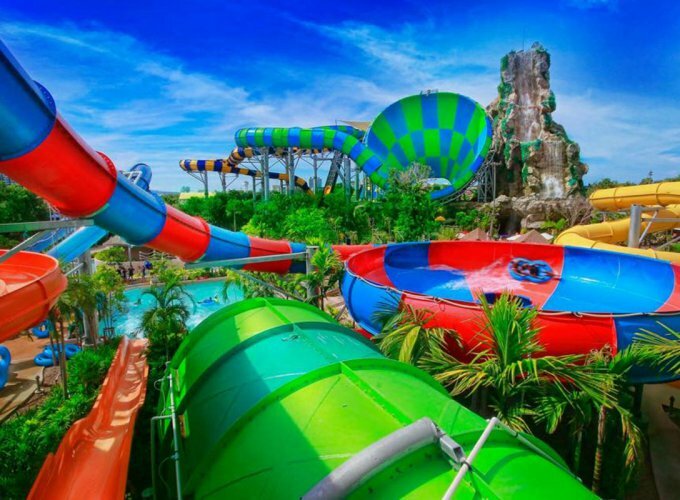 The largest water slide in Thailand! 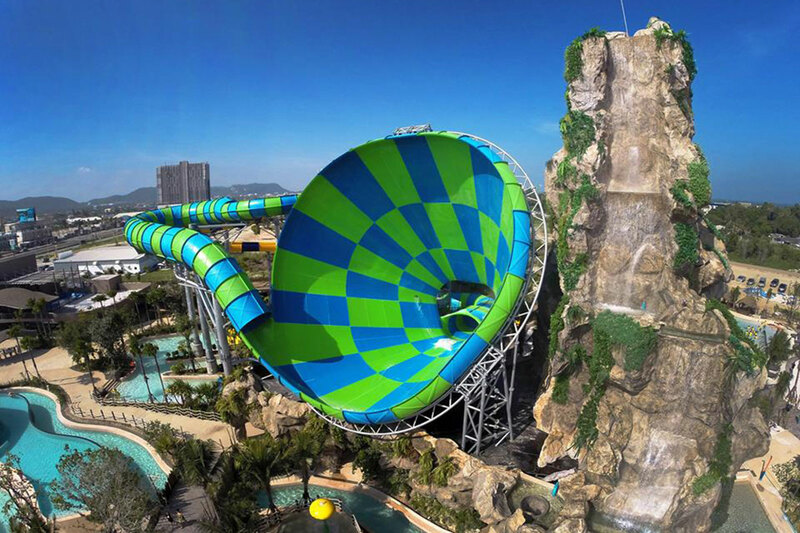 Up to 6 people can soar together to a height of 28 meters, share four or five near-vertical spins and then plummet into a huge funnel at speeds of over 45 km. 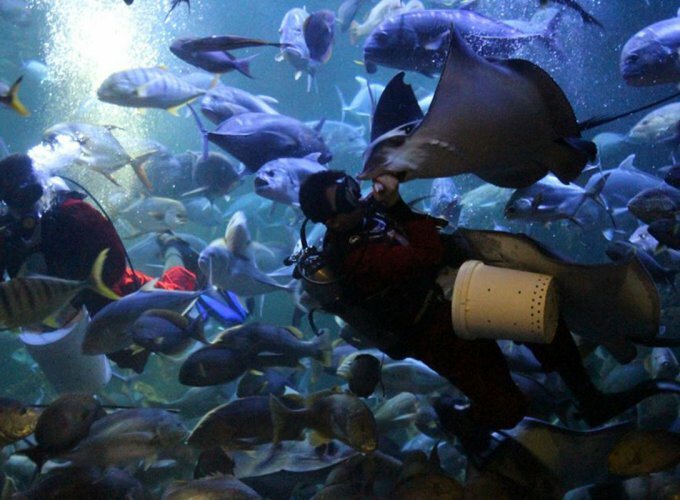 per hour! 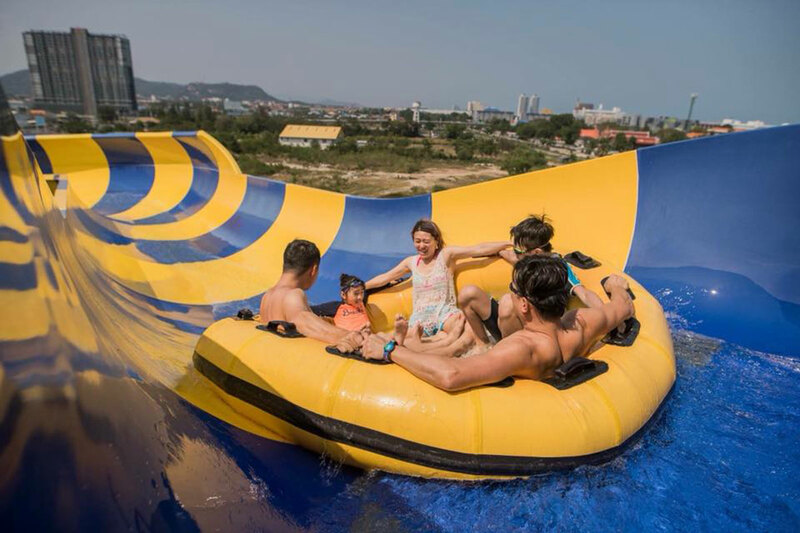 The Longest water slide in Thailand. 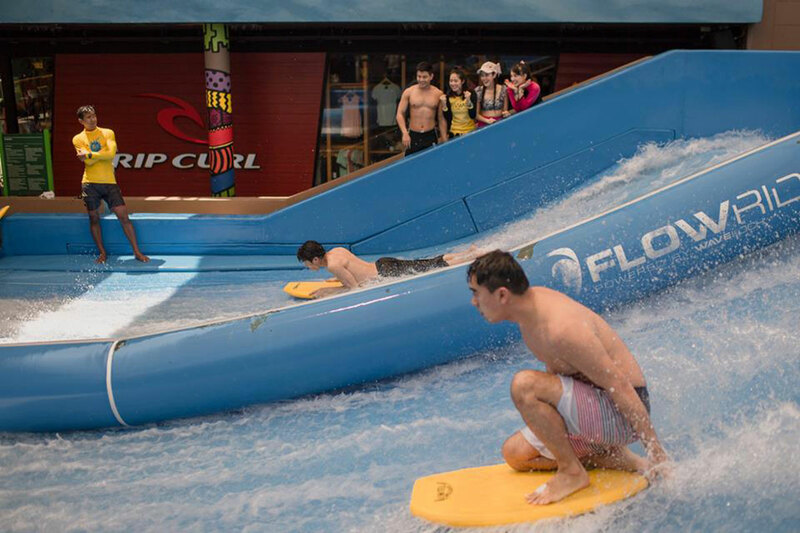 Experience weightlessness as you shoot up and down the wall at up to 45 km. 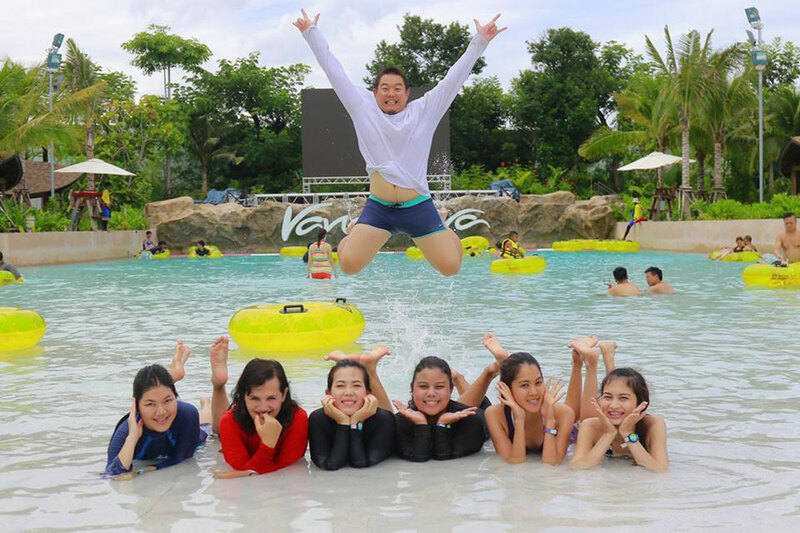 per hour before splashing down into a pool over 20 meters below! 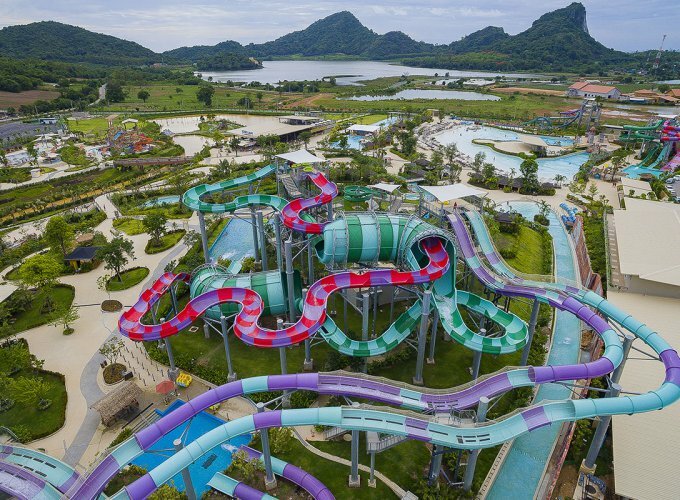 At 179 meters in length, this is the longest slide in Thailand. 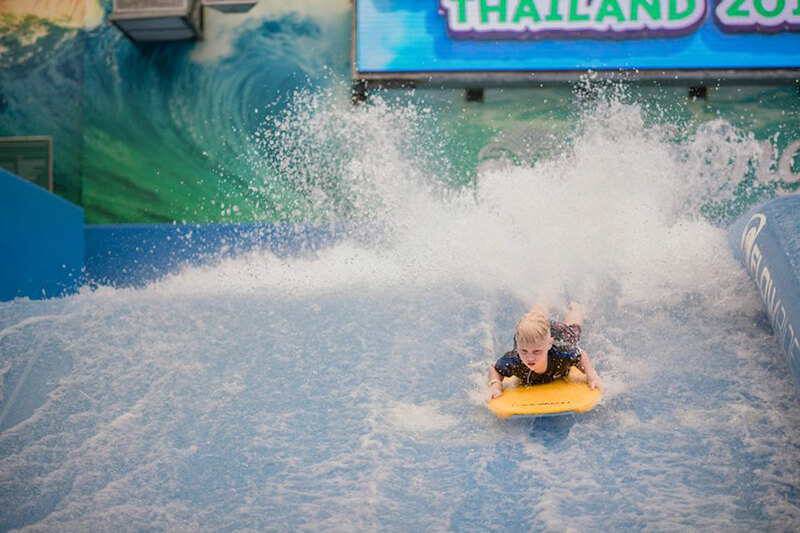 The only of its kind in Thailand, an exhilarating course of ropes and challenging obstacles, combined with water guns. 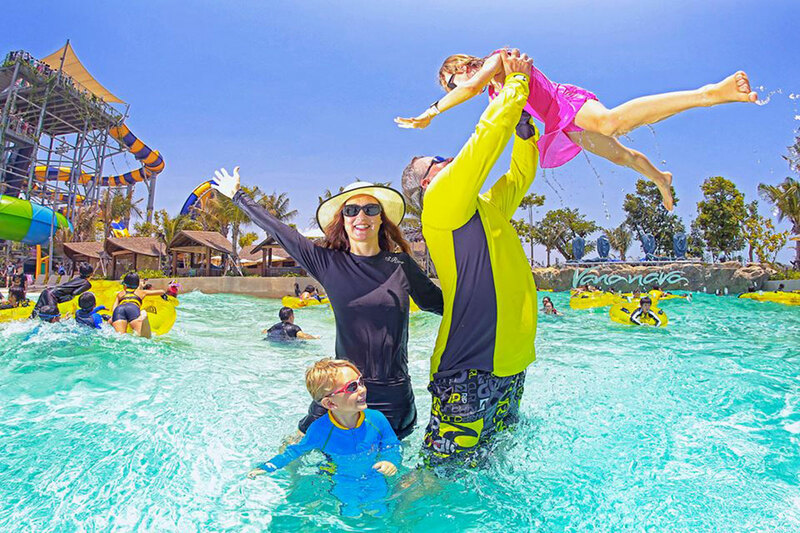 AquaCourseTM is thrilling, entertaining, and fun for all. 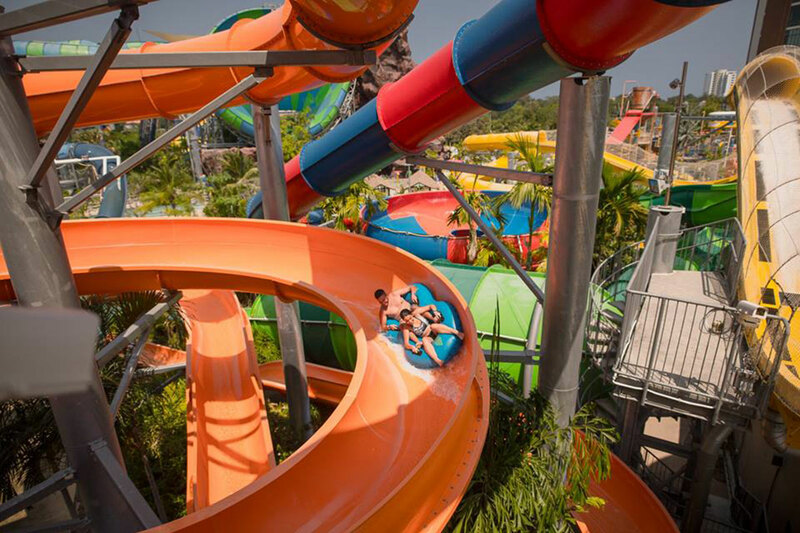 Freefall takes you up to 18 meters high – then drops you straight down at up to 50 km per hour! 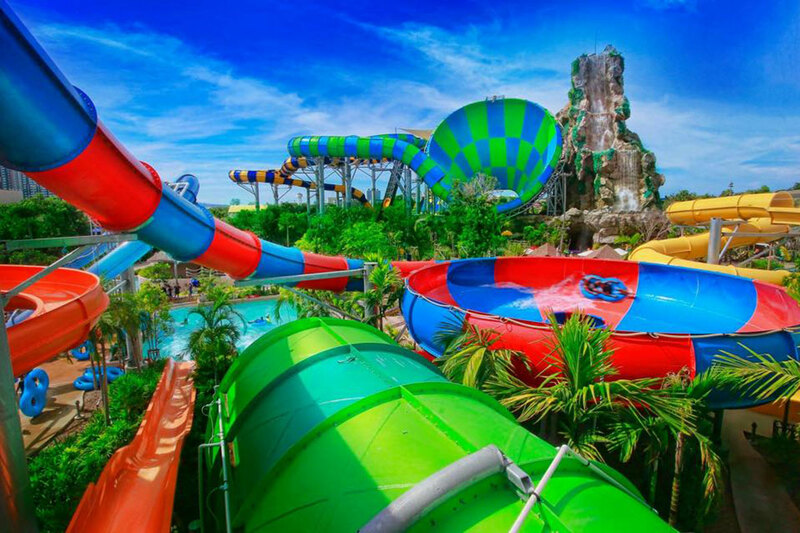 The first vertical looping slide in Thailand. 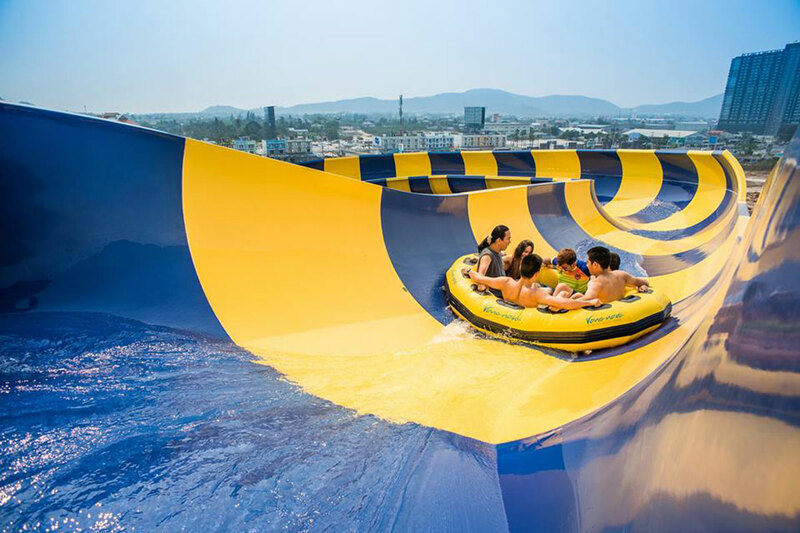 This slide is exhilarating for riders and spectators, with speeds of up to 60 km per hour.